There is joy in Montgomery, Ala. The mighty, two-time Black College National Champion Alabama State Hornets just completed one of the greatest regular seasons ever achieved by a historically black school. The team completed a dream season Sunday by beating defending champion Texas Southern 7-5 for the Hornets’ first Southwestern Athletic Conference Championship and a berth in the NCAA Tournament. But the Hornets’ success can’t do much to fix the well-publicized problem of a lack of black baseball players in the major leagues. That’s because the team has more Hispanic and white players than African-Americans, which has been the state of affairs in HBCU baseball for more than 25 years. 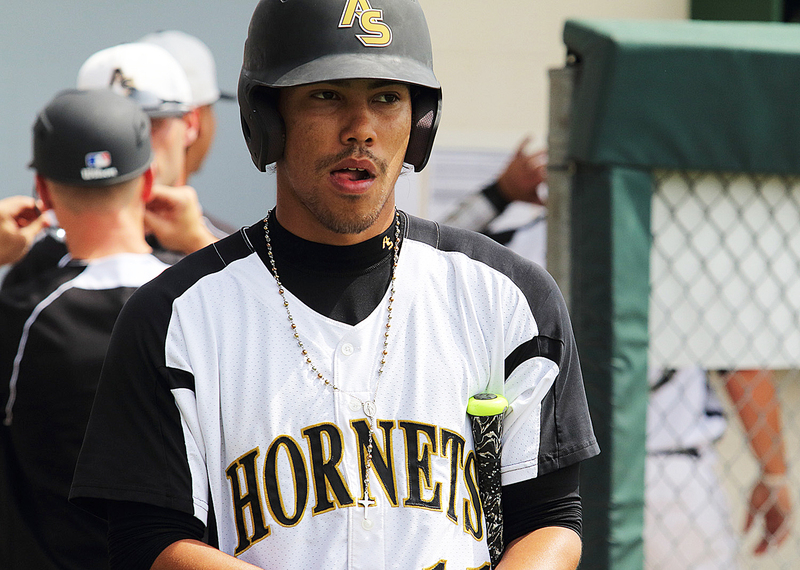 Alabama State junior outfielder Carlos Ocasio won SWAC Player of the Year and Hitter of the Year. Teammate senior Joseph Camacho earned his third Starting Pitcher of the Year honor and rookie infielder Eriq White was named Freshman of the Year. Yamil Pagan (11) of Alabama State Hornets walks from the dugout to on deck during the game against Texas Southern University for the SWAC Championship on May 22, 2016 at Wesley Barrow Stadium in New Orleans, LA. Hornets’ head coach Mervyl Melendez got Head Coach of the Year – his second such achievement as coach out of his five seasons at Alabama State. Among the honorees, White is the one African-American on a team its coach says is roughly one-third each Hispanic, one-third white and one-third black. Melendez says he doesn’t really look at exact numbers as such. “I really don’t,” he said. “We just recruit baseball players, and the level of player we think fit with what we do; that’s what we’re going to recruit. HBCU baseball – facing the extreme difficulty fielding teams with all-black players – found motivated athletes and coaches of all colors and that has given them the chance to continue playing the sport that they love. In the process, the schools’ numbers for diversity and Title IX benefited, particularly as softball, tennis, golf and other spring sports – except for track and field – also found white, Hispanic and foreign athletes, when traditional sources for black athletes were drying up. But it is particularly true in baseball, where the top black players are going straight to the major leagues or to top-flight Division I schools. Top black athletes seem to prefer the more popular sports of basketball and football while at the same time white baseball players get more opportunities playing on travel baseball teams, and preteen Hispanics hone skills in places such as Puerto Rico and the Caribbean. Black participation in HBCU baseball took a nose-dive in the 1990s, leaving whites and Hispanics to fill the void. A look at the NCAA demographics for the two Division I HBCU athletic conferences makes the trend clear. In the SWAC, the percentage of black baseball players has dropped from 86.5 percent in the 1999-2000 season to 45.2 percent in the 2014 season. In that same time period, white players increased from 3.3 percent to 27.2 percent. Hispanic players increased from 2.6 percent to 23.1 percent. Another 7.6 percent who reported in the other category in 1999-2000 is down to 1.3 percent in 2014-15. In the Mid-Eastern Athletic Conference, the percentage of black baseball players has dropped from 59 percent in 1999-2000 to 31.1 percent in 2014-2015. In this same period, white MEAC players increased from 24.7 percent to 50.2 percent, and Hispanic players slightly decreased from 12.7 percent to 12.4, with another 5 percent reporting two or more races in 2014-15. This whole addition-by-attraction thing was old hat for Melendez, whose 2016 Hornets have scored 10 or more runs 14 times and won by run rule 11 times (nine in 7 innings, two in 8 innings). 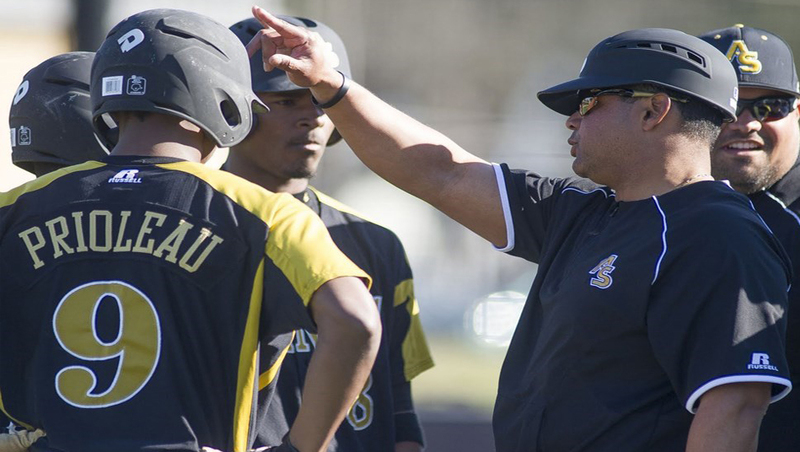 And while an unbeaten regular season is new for the SWAC, it’s familiar to Melendez, whose league champions were unbeaten at Bethune-Cookman University in 2006, 2010 and 2011. All three teams went on to win MEAC tournament titles. David Campbell/Alabama State University Alabama State University baseball coach Mervyl Meledez talks with his team. The key to a winning streak is “staying in the moment, and playing one game at a time,” Melendez said. “Play for today; worry about tomorrow when tomorrow gets here,” he said. “And I believe it has shown that our players have been able to do. But it’s also about players. And Melendez, who was a part of the transition from black to white and brown players at Bethune-Cookman, has the connections to get players. He is a native of Carolina (pronounced Caro-Leena,) Puerto Rico – who moved to Orlando, Fla., as a teen and has the connections to locales where they play baseball with the zeal that basketball is played in the Carolina – along tobacco road. With rosters loaded with Puerto Rican talent at Bethune-Cookman, Melendez was part of 14 MEAC championships, including two separate stretches where his teams won five-straight MEAC titles. He won 11 MEAC titles in 12 years as head coach of the Wildcats. Melendez said he became a student of diversity as a business major at Bethune, where the business school “emphasized diversity in the workplace and how it would make for a very successful business. But on the recruiting trail, he’s not selling diversity. “I’m selling Alabama State University, the academics and the beautiful campus,” said. 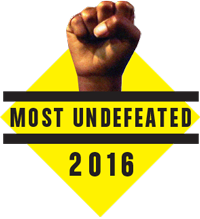 And unlike in basketball or football, where it’s big news if an HBCU beats one of the heavyweights, Melendez’s teams have won 46 times against teams from FBS conferences. His 2015 Hornets beat Cal State Fullerton, which played in the College World Series. He has also beaten Miami, Auburn and Tennessee. Plus, more than 30 of his players have gone on to play professional baseball, including pitcher Hiram Burgos of the Milwaukee Brewers and outfielder Peter O’Brien of the Arizona Diamondbacks. One day he looks to achieve what no HBCU team has done: Play in the College World Series. “I don’t think that anybody would want to retire without achieving that goal, without being there at least one year, just to experience that,” he said. While Major League Baseball continues its attempts to bring baseball back to black communities and remains ambitious about getting more black players to the big leagues, Melendez and other HBCU coaches are bringing the next best thing. So if these Hornets can hit and pitch their way to Omaha, Neb., home to the College World Series, you will learn a whole lot more about Melendez and his black college nines from Alabama.